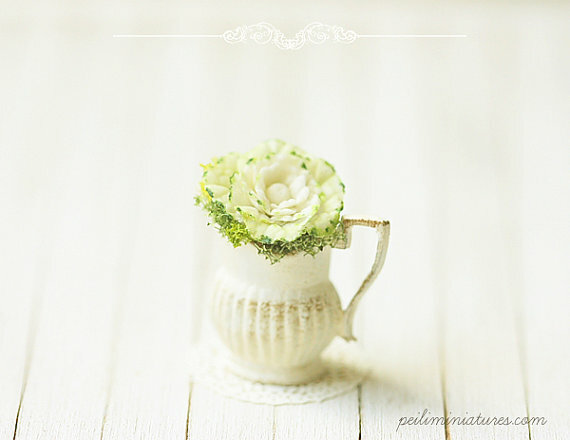 A beautiful white cabbage flower arrangement presented elegantly in a milk vase. In 1/12 dollhouse miniature scale. Some ideas to place this includes your kitchen counter, haberdashery cabinet, dining room table, shabby chic shelf, or even a cake display shelf. 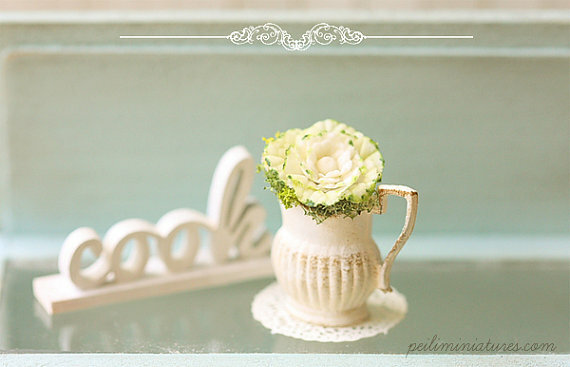 Flower arrangement is beautiful from all angles. Lace doiley is included in the purchase, but other accessories are NOT included. 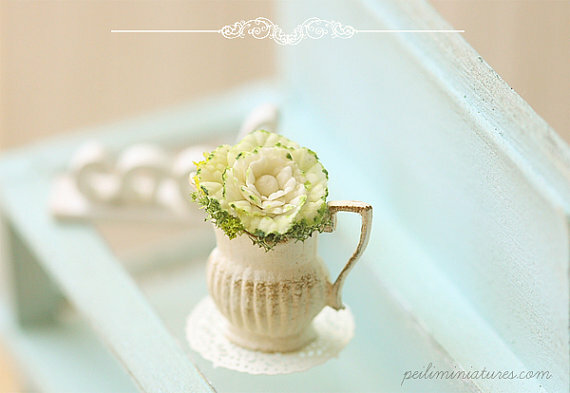 Height of the flora arrangement is approximately 2.2cm. Please note that each cabbage flower is individually handmade, so it may look slightly different from the one shown in the photo, but I make sure that each one is beautiful!